In 2017, Philip J. Piscopo commemorated 20 years since his admission to the Illinois Bar. Since joining the firm in 1999, Philip has represented clients in appellate litigation before the Illinois appellate courts. He also has an extensive trial court practice and has taken on transactional matters and helps clients form and maintain corporations, LLCs, and other entities. 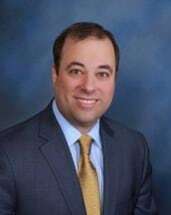 Before joining our firm, Philip served as a staff attorney to the judges of the Kane County Circuit Court in criminal, family and civil matters.